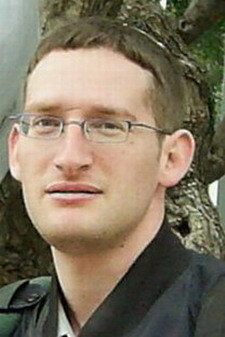 Ely joined Bar-Ilan university in 2000, and was promoted to Associate Professor in 2007. Ely was highly involved in the teaching committee back from year 2000, and he was part of the team who redefine the BS.c degree in computer science at Bar-Ilan university. Ely hold as well a visiting professor position in Michigan university and Tel Aviv University. Ely also spent one semester in Google Mountain View in 2007, and in 2011 he was a consultor in Google Tel Aviv. Ely is recruiting Postdocs and Ph.d students, who published at least 2 papers during their MS.c. An excellent MS.c student might be considered as well. Ely is hosting as well Ph.d students/Postdocs/Researchers from abroad for short term up to 3 months. Ariel Shiftan, Guy Feigenblat, Bar Shalem, Erez Waisbard, Neta Barkay, Amiad Rosenberg, Or Landesman. Ohad Lipsky, Estella Eisenberg (Co-advise with Amir Amihood), Michael Furman (Co-adise with Yossi Matias), Amir Rothschild, Klim Efremenko (Didn't finish, moved to Weizmann), Asaf Zur, Haggai Cohen, Benny Porat. Martin J. Strauss, David P. Woodruff, Anna C. Gilbert, Jelani Nelson, Eric Price, Yoram Bachrach, Shachar Lovett, Andrew McGregor. Stringology 2009, Stringology 2010, Stringology 2011, ICALP2011GT, UM Coding, IMA Group testing. CPM 2004, SPIRE 2008, ESA 2009, CPM 2010, SPIRE 2011.